Discover the natural beauty of the Texas Hill Country River Region, located just two hours west of San Antonio in scenic Uvalde County, an area known for picturesque limestone hills carved into green canyons by the crystal waters of the Sabinal, Leona, Frio, Dry Frio, and Nueces Rivers. 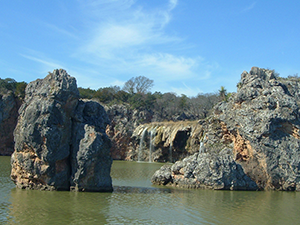 Garner State Park, and nearby Lost Maples State Natural Area, offer a variety of outdoor opportunities. 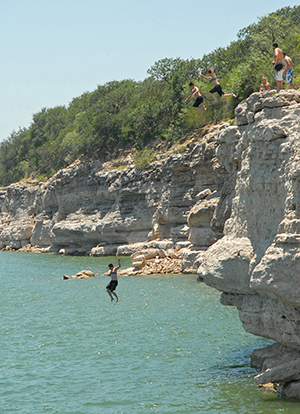 Diverse vegetation, spectacular wildflower displays, fall colors, monumental trees, abundant wildlifeâ€”including the world’s second largest Mexican Free-tailed Bat populationâ€”lovely butterflies and birdsâ€”including many rare and endangered species such as the Golden-cheeked Warbler and Black-capped Vireoâ€”are just a few of the reasons the Texas Hill Country is the perfect backdrop for your natural adventures. Find out why the River Region is one of the top birding destinations in Texas! Conveniently situated between Texas’ other great birding destinations, the Rio Grande Valley and Big Bend, youâ€™ll want to spend some time birding along the pristine waters. Join in the fun of Nature Quest, the best birding and nature festival in Texas. 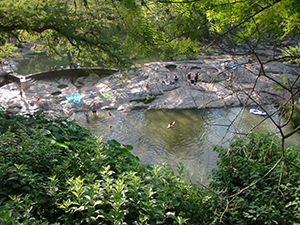 Experience swimming, tubing, kayaking, fishing, and horseback riding. Cyclists enjoy the challenge of River Region terrain during Bicycle Classic each October, and cultural activities abound. Choose from river cabins, guest homes, rustic retreats, bed & breakfasts, lodges, hotel/motels, bunkhouses, shelters, RV, tent and primitive camping to complete your vacation. Explore the River Region and awaken your sense of adventure.